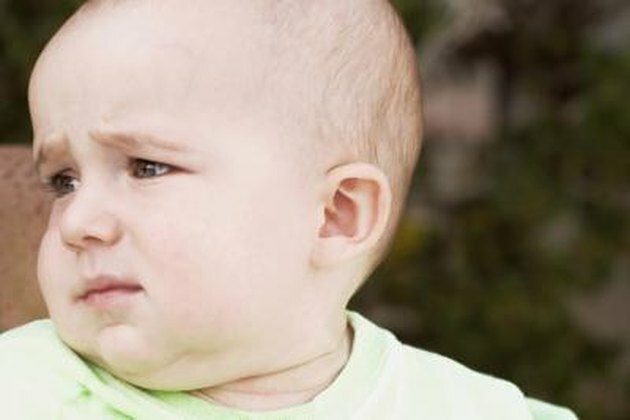 Constipation is a fairly common condition during the baby years and typically occurs when you transition from breast milk to cow's milk or formula or when you begin giving solid foods or table foods around a baby's first birthday. Make a few dietary changes to help alleviate the problem. Dry, hard bowels are a sign of constipation, as is straining to go and the absence of any bowel movements. For babies who are used to eating solid foods, oat cereal is a good choice to treat constipation. Most parents are advised to try rice cereal first, but if your baby is having trouble with constipation, the fiber in oatmeal can often get things moving and help regulate her bowel movements, preventing the problem from recurring. Barley cereal is another alternative that can be provided if your baby becomes constipated. Be sure to thin the cereal with breast milk or formula to prevent choking and increase the consistency as your baby gets used to eating it. Apple or prune juice is an alternative fluid for mixing with oatmeal and has bowel-loosening properties as well. 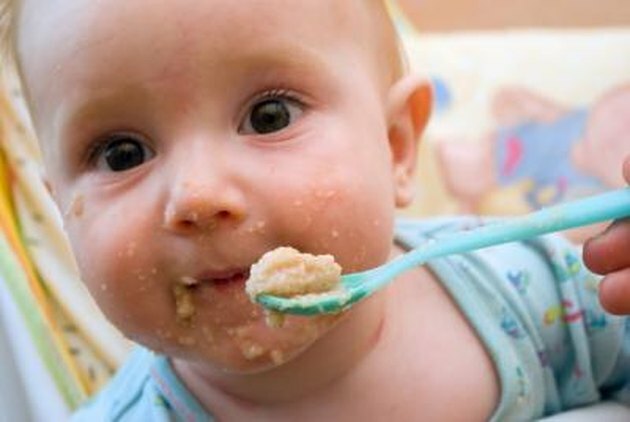 Consistently giving your baby oatmeal or barley cereal when she is 12 months old will aid in digestion and will often prevent constipation in the first place. Not all fruits are recommended for a 12-month-old baby's constipation, but several choices are effective at clearing up the condition and make passing a stool much easier. 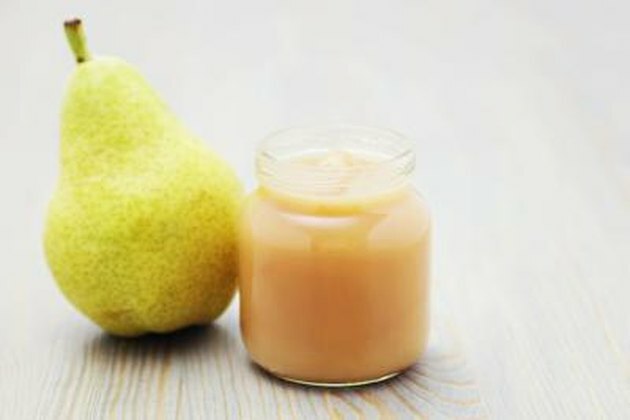 Try prunes or pears; noth fruits are available in jars or can be chopped into small pieces and given to your baby. This will depend on how comfortable he is eating table foods. Apricots are another fruit that can soften your baby's stools and eliminate or alleviate constipation. If your baby won't eat these fruits, fruit juice is a good substitution and will increase the fluid in your baby's intestines so that her stool isn't too hard to pass. Prune, apple and pear juice are your best bets; several baby food manufacturers market small bottles so that you don't have to waste any. Mixing these fruits with oatmeal is a double whammy when it comes to treating constipation in a 12-month-old baby. High-fiber vegetables will help you treat your 12-month-old baby's constipation and will help prevent it from happening again. Try peas, broccoli and beans. Peas are available pureed in jars, but broccoli and beans are not as easy to find. Cook them until mushy and puree in a food processor or mash them well before your baby eats them to prevent choking. Feed your baby high-fiber vegetables with fruits that are high in fiber or oatmeal or barley cereal to increase fiber intake enough to soften her stools and get things moving.